An Amazon brand - This geometric abstract painting on canvas commands attention as it captivates the eye. Inspired by cubism, wisps of gray, orange, green and gold create alternating planes that rise toward the top of the canvas. 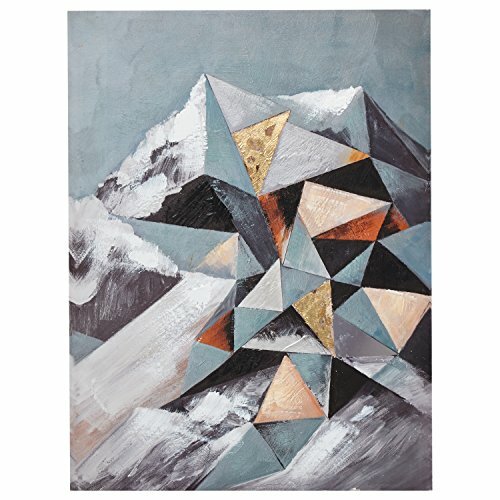 This geometric abstract painting on canvas commands attention as it captivates the eye. Inspired by cubism, wisps of gray, orange, green and gold create alternating planes that rise toward the top of the canvas.